New category for this year – Senior Service Desk Analyst of the Year 2019 – finalists Nick Creaser, Tom Lamb (Cegedim RX) and Tom Phillips (DVLA) discuss their awards experience and exciting plans for their service desks. 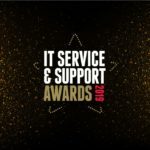 The IT Service & Support Awards take place later this month on Tuesday 26 March, if you haven’t booked your ticket yet, do so now before they run out! Nick Creaser: Due to the size of the Service Desk at CGI, a small number of us are put forward by our Team Leaders / Operations Manager. I didn’t know much about the awards before this as I was still fairly new to the Service Desk. Tom Lamb: Entering the awards wasn’t really something that I had considered until Julie (our service desk manager) suggested it. I was originally a bit skeptical of the idea but she mentioned a few examples of good work that I had done so I decided to go for it. Tom Phillips: My colleagues were a huge factor in me making it this far. They’ve recognised my contribution and effort on the desk over the last 12 – 18 months which has coincided with the area implementing several new processes with which I have had instrumental input and they felt I had nothing to lose by submitting an application. My colleagues helped me brainstorm and supported me during the completion of the application process which was a massive help and confidence boost. Nick Creaser: As someone who hates writing & talking about themselves, most of it was quite difficult for me, especially the presentation. So I’d have to say the most enjoyable part was opening the email to say I was in the final! Tom Lamb: The part of the process that I enjoyed the most was going to Birmingham to deliver the presentation. Presenting to people isn’t something that I do regularly and although I felt that it was too short and that I didn’t do particularly well, I feel that it was a good experience and that it was good to do something out of my comfort zone. Tom Phillips: Presenting to the panel in Birmingham. It was the most nerve racking experience I’ve encountered but I was proud that I made it through. I enjoyed the interaction with the judges and being able to demonstrate my journey through the Service Desk and the challenges I faced. It really pushed me outside of my comfort zone and has given me the confidence to speak and present more frequently within my work environment. Nick Creaser: I had completed an ICT Practioners National Diploma in college whilst I was still unsure what I wanted to do long term. It was only really when I looked into the option of taking an IT apprenticeship as an 18 year old when I thought it could be a long term career path. After a couple of jobs in smaller support roles, I moved into CGI to gain experience in supporting much larger networks and user bases. Tom Lamb: Computers / technology in general is something that has interested me for a long time so working in IT support was the natural choice. The sense of satisfaction of seeing an issue through from start to finish and resolving an incident for someone that has been massively impacting them also helped me decide on this as a career. Tom Phillips: I have always enjoyed helping and supporting people and working within a fast paced, dynamic environment. Having previously worked within an operational team and recognising my technical skills I was attracted to an IT support role which allowed me to develop and enhance my skill set. I love the way IT can help make business efficiencies and the benefits technology can offer the customer. Also having the ability to communicate with Stakeholders from every aspect of the business is a huge positive aspect of the role. Tom Lamb: We implemented a project to help with the system not being up and running when the users started up each morning. As part of the investigation into this we identified a number of issues within the software that were resulting in issues with the overnight restart and general performance. Once we rectified these we have seen record high numbers of sites where the system has restarted itself overnight correctly, which has not only removed the impact to the end user but has got rid of the need for the company to pay overtime to analysts to come in early to get these stores ready for opening. Tom Phillips: It would have to be creating efficiencies as part of the access management process on the Service Desk. I volunteered to lead on the access management audits around inactive user ID’s as I believed I could improve the process after quarterly audits and SLA’s were being missed. I reviewed the process and identified a number of steps that I felt were redundant. I drafted an amendment, reducing the number of steps by over half, from 17 to 8. I shared my plan with the process owner to seek authorisation for sign off. I distributed the improved process document to key stakeholders and invited questions prior to gaining approval from the head of IT Operations. The new process was implemented and due to efficiency savings is now a monthly activity that the Service Desk have taken on as opposed to a quarterly activity. The initiative has enabled DVLA to better protect its data and satisfies the security elements related to access management. In addition, due to the efficiency savings, Service Desk staff have been upskilled in the process, improving their skill sets and knowledge and improving morale as staff are being stretched. Any problems within a team need to be addressed as soon as possible to ensure moral doesn’t drop. Days can feel very long and tiring if this happens. People come and go in Service Desk roles, newer members of staff will not always have the same knowledge as previous members of staff and quick access to assistance will boost their productivity massively. Doing the same repetitive task every day doesn’t motivate employees. Giving everyone an opportunity to try their hand at different tasks and learn new skills will motivate people and have them not fall into “auto-pilot” when working. Using software to monitor user’s machines to be proactive rather than reactive. e.g. monitoring database sizes, using it to see if customers may be affected by certain issues so that these can be sorted before they cause an issue to the user. Having these so that the customer can attempt to help themselves rather than having to wait in a phone queue or log a ticket in a customer portal and sit waiting for someone to call them back. Working on a service desk often means dealing more with the person using the software than anyone else in the business and a knowledge of what aspects they like/ dislike of the product that they are being provided as well as what functionality they would like to see going forward. This generally puts the people on the desk in the best position to provide customer feedback. Job profiles identifying role, responsibilities and accountabilities to set expectations and measureable objectives. Open and honest communication between peers and across all levels. Team collaboration in determining key business decisions. Nick Creaser: My approachability. Many colleagues and end users have mentioned to me that its always very easy to come to me for any assistance and I always try to give the best help possible, as quickly as possible. Tom Lamb: I feel that it would be my willingness to use the knowledge that I have built up during my time here to help other employees understand not only the technical aspects of the software that we provide, but the way/reasons that the end user is wanting to do certain things due to the highly specialised sector that we provide software for and the legislation that they are required to follow. Tom Phillips: Being as supportive as possible to everyone I have contact with, regardless of technical experience. Tom Lamb: We are planning on cross training analysts on both pieces of software that we provide so that in theory whoever answers the phone can resolve the issue regardless of what it is. We also want to implement more proactive checks as mentioned above as well as automating some repetitive administration tasks. Tom Phillips: DVLA’s Service Desk has recently undergone the pre-assessment for certification and will hopefully be accredited by the end of this year. We sincerely hope that DVLA can become a valuable member of the SDI community and be viewed as a model Service Desk function within the Public Sector. One of the things I am most excited about seeing through is the implementation of a career development path for staff joining the area. After a transformation period a few years ago our Service Desk is becoming more stable so providing staff with the opportunity to stretch themselves and share their knowledge of the front line business across the IT Directorate. This will allow us to recruit staff into the area with a real vision for the long term future of the Service Desk which is something I feel we haven’t had before. 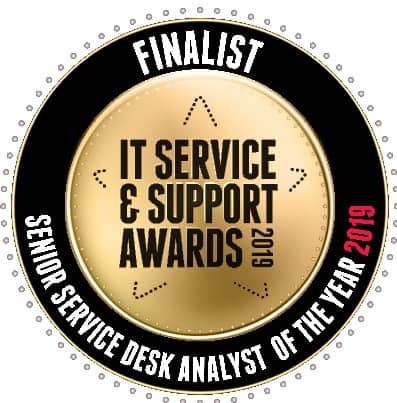 What does it mean to you to be a finalist in the ‘Senior Service Desk Analyst of the Year’ category? Nick Creaser: It means a lot to me as it is kind of serving as a reminder of the work I have done and what I achieved in my time at CGI. Before joining CGI, I hated talking on the phone… things changed very quickly there for me. Tom Lamb: I feel proud at getting as far as I have as when entering was initially suggested I didn’t think that I would get this far, especially with the high quality of entrants. I feel that it has made me more aware of some of the good work that I do. Tom Phillips: It’s fantastic recognition of doing a good job. I feel it’s recognition for the area as a whole as my colleagues help to implement initiatives that I put forward. Nick Creaser: Try to keep notes of any extra tasks you do. Digging through a few thousand emails to find details of work I carried out was not a quick process. Set an example. Senior members of teams need to “walk the walk”, not just “talk the talk”. If a senior member is not carrying out their work to a high standard, it may be seen by other members of staff that a low standard of work is acceptable and rewarded. Tom Lamb: Go for it, the worst that can happen is that you aren’t successful but wither way come out of it with a sense of achievement and a number of examples of good work that you have done that can be used for things such as appraisals/CVs etc. Tom Phillips: However cliché it is… just go for it! There’s absolutely nothing to lose and everything to gain. The whole process has given the Service Desk positive publicity and a huge boost at every step of the way. One constructive piece of advice would be to not be afraid to sell your achievements. Some of the things I thought of as being minuscule were actually important pieces of work with a wide business impact. What would you do to celebrate if you won ‘Senior Service Desk Analyst of the Year’? Nick Creaser: I have since left CGI, but I think it would be a suitable time to open the bottle of champagne I was given on my last day! Tom Lamb: Other than the obvious answer of a few beers, I recently bought a house so would most likely put it towards something for that. Tom Phillips: I’d organise a celebratory party outside of the work environment so we could celebrate the achievement as a team. Within the work environment I would ensure to use the opportunity to promote the energy and ethos of SDI across the team to help motivate us to achieve accreditation in the coming months and really bring everyone together.